You are invited to share a food memory for the Stir a Memory mail art project. Blank postcards are available in the lobbies of some Fort Point buildings and in the Made in Fort Point store. 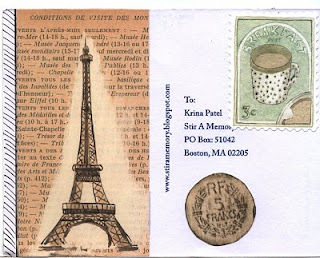 Do pick up a postcard and mail a memory. 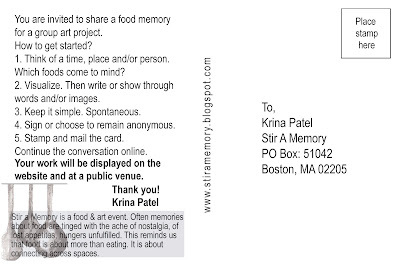 Postcards received by the end of September will be displayed at the Boston Local Food festival on October 2, 2010 and Open Studios.